By Rachel Held Evans, on November 29, 2012. 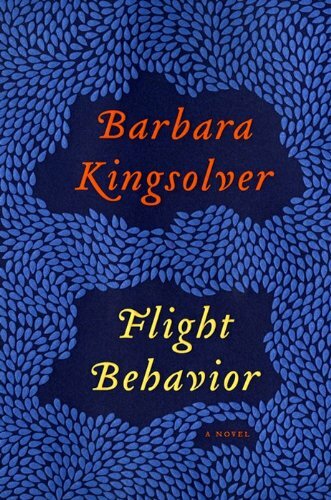 So right now I owe about fifteen people articles or interviews, but instead I’ve gotten myself lost in Barbara Kingsolver’s excellent new novel, Flight Behavior, which in Chapter 3 includes an absolutely fantastic church scene that you really must read for yourself. Kingsolver often writes about church, but in a way that suggests she might have been something of a misfit in that context. A church misfit myself, I soak these stories in every time. Two excerpts in particular capture some of the tension I’ve felt through the years. According to my Baptist Sunday-school teacher, a child is denied entrance to heaven merely for being born in the Congo rather than, say, north Georgia, where she could attend church regularly. This was the sticking point in my own little lame march to salvation: admission to heaven is gained by luck of the draw. At age five I raised my good left hand in Sunday school and used a month’s ration of words to point out this problem to Miss Betty Nagy. Getting born within earshot of a preacher, I reasoned, is entirely up to chance. Would Our Lord be such a hit-or-miss kind of Savior as that? Would he really condemn some children to eternal suffering just for the accident of a heathen birth?…Miss Betty sent me to the corner for the rest of the hour to pray for my own soul while kneeling on grains of uncooked rice. When I finally got up with sharp grains imbedded in my knees I found, to my surprise, that I no longer believed in God. For a year she’d gone with Cub to Wednesday Bible group and loved the sense of being back in school, but her many questions did not make her the teacher’s pet. Right out of the gate, in Genesis, she identified two completely different versions of how it all got started. The verses could be a listen-and-feel kind of thing, like music, she’d suggested, not like the instruction booklet that comes with a darn appliance. A standpoint that won no favors with the permanent discussion leader, Blanchie Bise, cheerleader for taking the Word on faith. For crap’s sake, the first rule of believable was to get your story straight. The church scene is not entirely negative if you keep reading, and is in fact quite inspiring. Kingsolver never sets out to slam the Church; just to put into print the words that are secretly running through a lot of people’s heads. My first awkward Sunday School moment happened in first or second grade when I raised my hand and asked why, in Noah’s flood, God would drown all of those innocent animals when it was the humans who were being disobedient. The teacher pointed out that God spared two of each kind, but that hardly seemed fair to me. What made those two camels more worth saving than the rest of them? (Apparently, my aversion to salvific election goes back a few years.) It didn’t occur to me until junior high or high school that the flood would have also drowned thousands of children….which didn’t seem particularly pro-life on God’s part. What about you? Did you ever ask the “wrong” question in Sunday School? Do you still ask those questions?